A superb anthology by a group of my friends came out last year. I am going to live-blog the stories submitted by these friends , as they show up in order, starting 8pm tonight. I hope to see you join in this, live! The first story is by Abhishek Mukherjee (http://ovshake.blogspot.in/). It's called- 'Godliness'. In a typical style of his, Abhishek Mukherjee has hidden those small , little gems throughout the story, right from its name (I think putting any further stress to the title would spoil things so let me just keep it hang for you guys). Gems for you to find, and then have happy realizations about! Well that note above wasn't even 1% as funny as what you get to see in Ovshakeda's writing. The story moves ahead effortlessly, dropping those hints about so many things, taken straight from the pages of an unfairly-termed 'unconventional' relationship in our society. Double brownie points for that to you, Ovshakeda. Apart from being full of humor and subtle slices of life, there's a major plotpoint in this story, which would remind you of many people you know-mostly the funny ones. Don't miss this! I'll return after reading 'Tina' by Diptee Raut (http://dipteeraut.blogspot.in/). In a Roald Dahl-ish manner, Dipteedi has played, almost meticulously, with the imagination of the reader. The end result left me almost motionless for a while, as the only things moving were my eyes, reading that final, 108th (interesting page number, couldn't help but gasp again so sharing it with you guys) page in the book. Needless to say, do read it whenever you get a chance! I'll be returning after reading 'Reborn' by Rafaa Dalvi (https://www.facebook.com/dalvirafaa?fref=ts). "The bigger the lie, the more people believe it." "But then again, the truth is what we choose to believe. Perception drives the reality." Rafaa Dalvi's 'Reborn' is full of beautiful lines like these, that make the experience of reading the story a rewarding one. It has the right chills, well-timed, and the supernatural elements just seem to take you into this mysterious and beautifully haunting place called 'Dow Hill' (nice name to choose, Rafaa!). The intensity with which the story proceeds shows how descriptive he can be, as Rafaa explores the back-stories beautifully. The end is subtle and makes you think, and you wish if this story could have a novel as its prequel. Hats off, well worth your time! 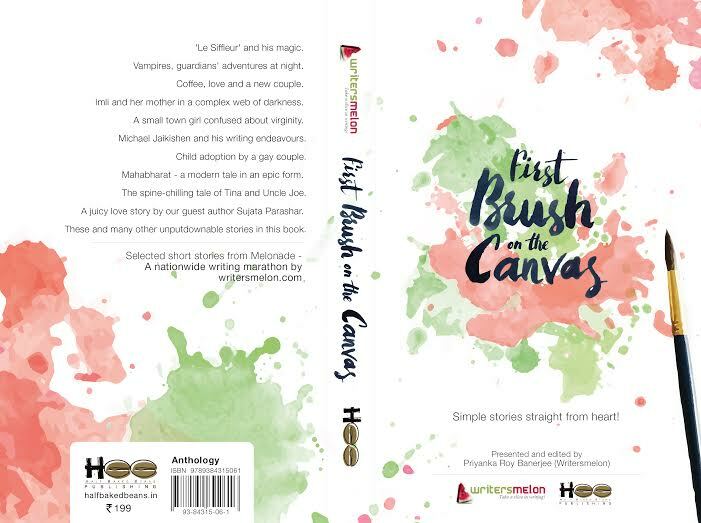 With that, I conclude this session for now, and as an afterword, I am thankful to Priyanka Roy Banerjee (https://oneandahalfminutes.com/) for getting this anthology compiled amidst good struggle I am sure (it's not easy to get a book published, I am sure PrbDi!). I am saving the remaining ones for a later read, and I will surely update this post once I complete reading all the stories in the book. I am sure I am in for a wonderful time. Thank you, my dear readers, I look forward to your comments and feedback. C'mon dude, bring it on! You wrote an amazing story Ovshakeda, I am finding it difficult to contain the excitement it gave me. Made some minor changes and added another update. :) Keep refreshing every few minutes! Ah. You are going to enjoy that one. Nice! :) I was about to wait till 8:00PM till I realized that the time is NOW! Thank you Soumya. 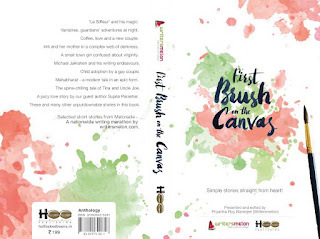 Amazing story by Ov da and Diptee :) But I can't be biased, the others are good too, do read. Will wait for the complete review. I am intrigued even more, hats off to your selection of stories, PrbDi! I'd definitely share a complete review once I finish reading all of them. You're too kind with your words. Appreciate it. You'll enjoy the other stories, too. Waiting for your review. Cheers!